The Wishbone Wagon - a wagon that transforms into a race cart! 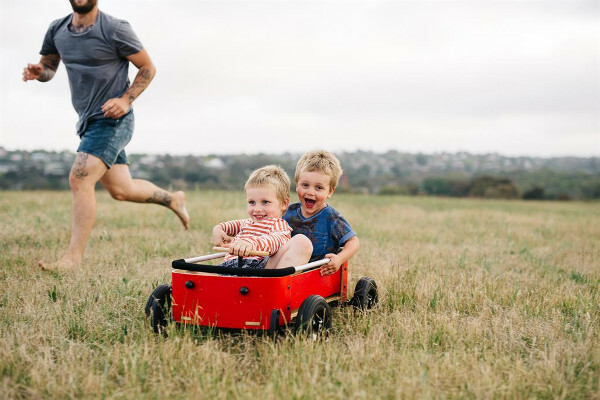 The Wishbone Wagon – a wagon that transforms into a race cart! 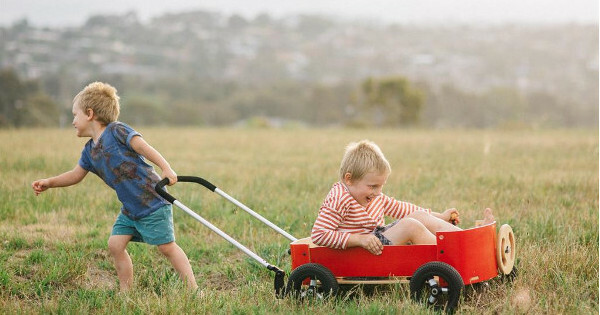 A throw-back to those rickety red racing wagons our grandfathers spent their childhoods playing with – this beautiful modern version is more than meets the eye. Who loves Wishbone? We certainly do! We’ve previously written about plenty of Wishbone products, including the Recycled Edition balance bike and Flip ride on – and this is the latest cab off the rank. This gorgeous wagon packs a whole lot of fun, and is beautiful to boot. It’s not just stunning looks, the Wishbone Wagon is rugged and also transformable. 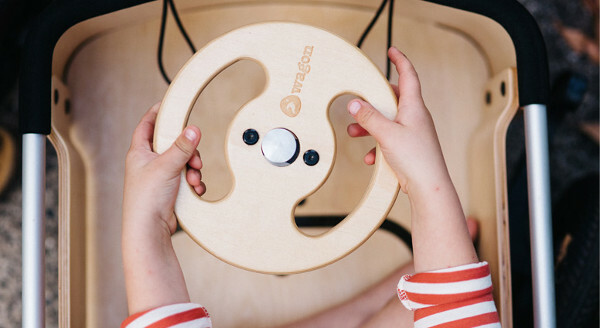 It can be a wagon, a gravity racer, a foot-to-floor car – the kids get to decide. The tyres are air-filled, ensuring any terrain is traversable, and it has a low centre of gravity so that the ride is as smooth as it is fun. 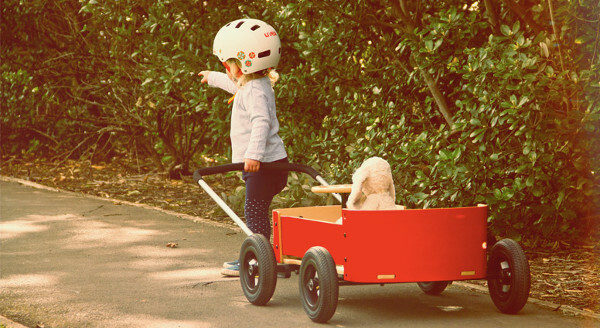 The handle can also be positioned in three different ways – the kids can steer from the front, push from the back or stow the handle and race the wagon. Likewise the steering wheel has a couple of different options, including being stowed. The kids can also get a little Flintstone action happening thanks to the floor hatch. There’s plenty of adaptability when it comes to the ultra cool toy, but no doubt the kids will discover even more ways to work this wagon. 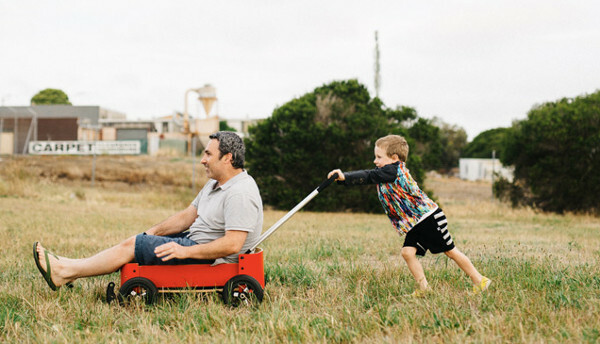 The Wishbone Wagon is designed for children aged between one and 10, and is available from Entropy for $359.